The Biochemistry & Molecular Genetics Department’s goal is to instill a thorough knowledge of modern biochemistry, molecular biology, genetics, and biophysics, while at the same time awakening the student’s imagination to the diverse and exciting research areas represented by our faculty. The academic and research activities, as well as the many opportunities for interaction among students, postdoctoral fellows, and faculty, help to shape an outstanding and cooperative research and training experience. The department plays a major role in the teaching of the following modules of the Integrated Clinical Sciences for 1st year Medical Students: Foundations of Medicine; Cells, Blood & Cancer; and Gastrointestinal. Several MD, Ph.D. students conduct research in departmental laboratories. The department also welcomes MD students to conduct research during the summer or during term under the direction of selected mentors. 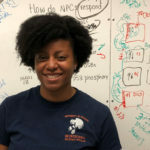 Each year 10-20 undergraduates from the University of Virginia join laboratories in the department to carry out primary research, often resulting in undergraduate thesis. Research is carried out both in the summer and during term. 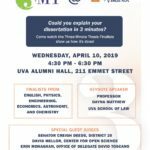 Biochemistry & Molecular Genetics at UVA offers a comprehensive personalized program that incorporates didactic and practical training. Qualified students are admitted for work leading to the Doctorate in Biochemistry and Molecular Genetics. Students typically come to the department following entry through the Biomedical Sciences graduate program but there are other avenues of entry such as the M.D./Ph.D. program. 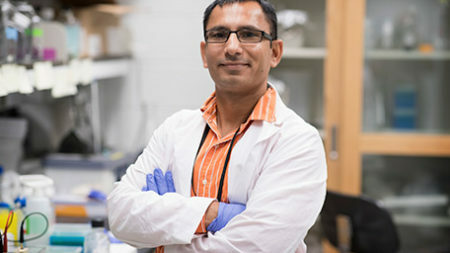 Researcher Jogender Tushir-Singh is developing a two-fisted, antibody-based approach to destroying deadly ovarian cancer – an approach he believes could also be modified to kill breast, prostate and other solid tumors. This journal club/research talk series is an instructional activity of the Biochemistry and Molecular Genetics Graduate Program. The research talks are targeted to the entire department, including faculty. 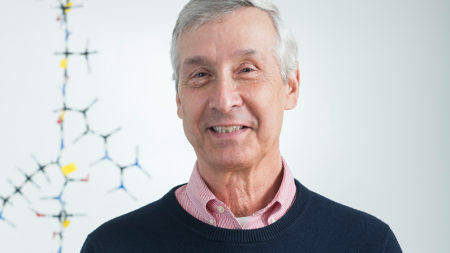 Congratulations to Dr. C. David Allis a former faculty member at the University of Virginia who received the 2018 Lasker Award for his work on histone modifications and gene expression. Dr. Allis performed his seminal work while a Professor in Biochemistry & Molecular Genetics from 1998-2006. More information can be found below. BMG Department Seminar, Dr. Lee Zou, MGH Cancer Center, "The ATR signaling circuity: from basic research to targeted cancer therapy"
Every researcher is dedicated to better results for patients. Your contribution, whatever its size, can help ensure we are able to offer the best care based on advanced medical research.